The Australian newspaper is always looking for an excuse to attack the ABC. But it is on more solid ground than usual this week, with articles yesterday and today criticising moves by management to replace the specialist editor for religion and ethics Jane Jeffes with a non-specialist. 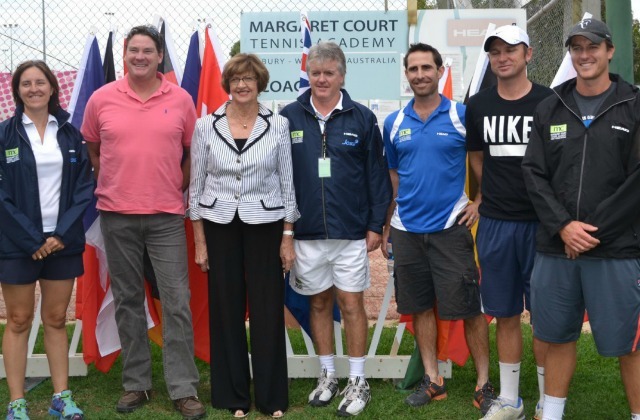 Specialisation is what gives public service broadcasters their punch. It distinguishes their output from the infotainment programming of their rivals, at least by degree. Specialists are equipped to go beneath the surface and give the public an understanding of issues they would not otherwise get. For instance how to distinguish Muslim fundamentalists from those who are simply trying to live their faith in the Australian community and maintain their heritage. ABC management has been trying to kill its religion specialisation for at least three decades. I remember battles from my own time there, when I worked in ABC religious radio for four years from 1988. 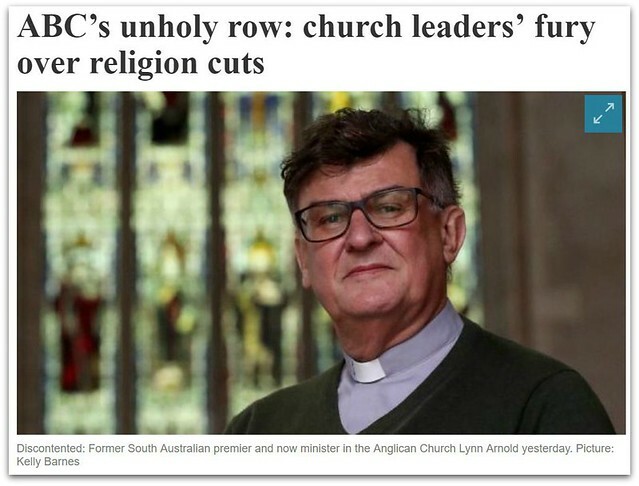 There was a familiar pattern in which religious programs were threatened, church and other religious leaders would vent their outrage, and there was subsequently a reduction in the scale of planned cuts. Can that happen again this time? Probably not. With the sexual abuse scandals and the recent Census statistics charting a significant rise in the number of non-religious Australians, church and other religious leaders don't have the authority they once had. However ABC management would be doing Australians a disservice if it exploited this as an opportunity to kill specialist religious programs. For the religious unit services non-religious 'searching' Australians as much as it does those who are formally religious. It is been doing this for years. In 1987, the visionary head of the religion Dr David Millikan commissioned Caroline Jones to present the radio program The Search for Meaning. It was a departure from traditional religious programming that had a wider impact. 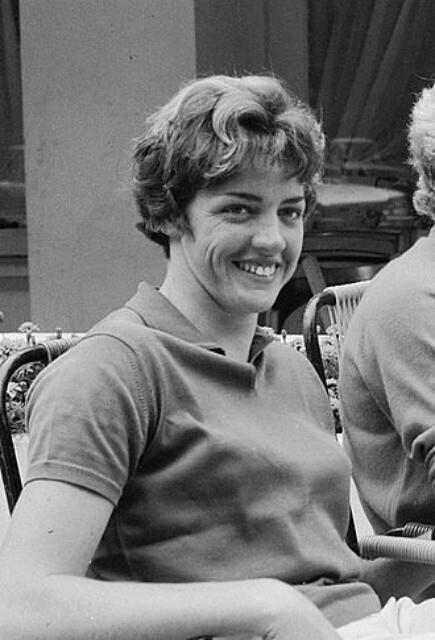 After it ended in 1994, Caroline was invited back to ABC TV to help foster a reflective, values-based approach to news and current affairs programming in the long-running Australian Story. This more inclusive style was also evident some time ago in the coupling of religion and ethics in the brief, and formal designation, of the 'religious' programming genre. While the article in The Australian seems to suggest that this represents a weakening of the religious programming strand, I believe the opposite is true. Indeed the study of philosophy and ethics was an integral part of my Jesuit religious training, as it is in other Catholic and some Anglican traditions. The idea is that it helps to remove religion from the religious ghetto. The participation and leadership of specialists ensures that there is an informed conversation between religious and non-religious Australians. That is why the ABC needs a specialist to oversee its programs in this area. Cardinal George Pell told the media in his short but candid statement yesterday that he was returning to Australia to 'clear my name'. He repeated that phrase, 'clear my name'. That came after his double barrelled opening reference to the media's 'relentless character assassination - relentless character assassination'. He did not say that he was coming to Australia so that justice could be achieved or truth uncovered. That was left to Pope Francis, whose reference to the 'foster[ing of] the search for truth' was conveyed immediately after Pell's statement. The cardinal did not mention truth or justice. What he said at the media conference was perfectly consistent with his attitude and actions with regard to the media all along. Arguably an indifference to, or even fear of, their role in the search for truth in the context of justice. The evidence for this is in his habitual hostility to media practitioners who see their role as uncovering and reporting the truth regardless of the consequences for the good name of a person or an institution. He was true to form when he began yesterday's statement with a criticism of the role of the media in the laying of charges against him. One of his first actions after becoming Archbishop of Melbourne in 1996 was to close the Archdiocese's Communications office. Over the years, Catholic Communications had gained considerable respect, particularly from its secular media peers, for its practice of objective journalism in radio and TV production. That is where I learned my first principles of journalism and media practice in the 1980s. The sacked director of Catholic Communications Peter Thomas had a Vatican II view of the 'pilgrim' church of the people. In media terms, this translated into practice that owed a lot to that of public service broadcasters like the ABC and the BBC. Pell's ecclesiology represented a retreat from Vatican II to a more 'top down' hierarchical model. For him, the Church was more like a corporation that was best run along business lines. That is why he replaced Catholic Communications with an outsourcing of the work to corporate communications firm Royce Communications. I would suggest that this represented a decisive and deliberate shift from truth tellers to spin doctors. Cardinal Pell's actions and attitudes towards the media over the years have demonstrated a lack of appreciation of its role in truth telling. If, as he stated yesterday, he is innocent of the 'false' charges laid against him, it is in his interest not to condemn the truth telling media but to trust and embrace it. I remember where I was when I first heard that Catholics had overtaken Anglicans to become Australia's largest religious denomination numerically. I was with a group of Jesuits at a school in Adelaide in 1979 and one of them said that he had read it in The Australian newspaper. However religious sociologist Gary Bouma contradicts that in The Conversation yesterday. He says it was 1986. 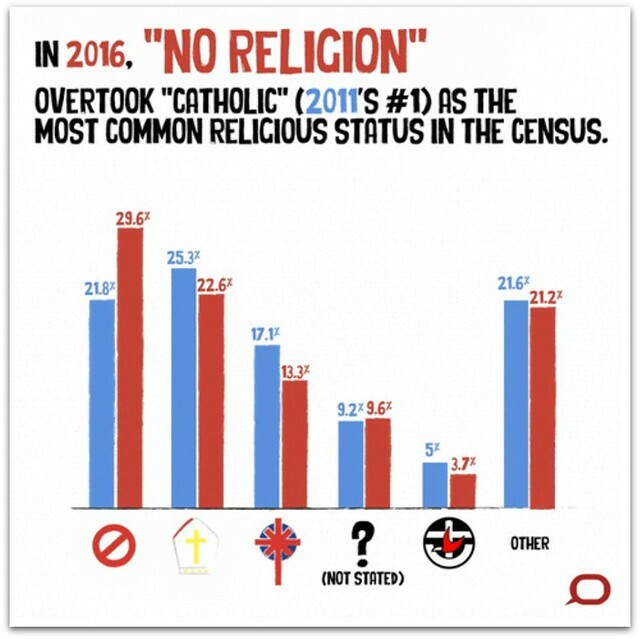 Whatever the year of that particular milestone, yesterday's big news was that the 2016 Census data revealed that Catholics themselves had been overtaken by a new group called 'No Religion'. It seems that this middle ground majority is reluctant to identify with the various mainly Christian denominations that are associated with their particular cultural or ethnic heritage. The 'Irish Catholics' of a generation ago now see themselves as 'no religion'. They are the ones who count themselves out when Cardinal Pell and other conservative church leaders declare that being a Catholic is a 'package deal'. These leaders say that you can't be a 'cafeteria Catholic', which means accepting some teachings while rejecting others. Today the majority of Catholics including myself are cafeteria Catholics. I like to think that we are nuanced in our practice of the faith, combining conscience with guidance from credible moral leaders, whoever they may be. This group does not think twice about using artificial contraception or supporting marriage equality. But its members are still concerned about issues of social justice. They send their children to Catholic schools believing they will develop a moral compass to guide them through life. Even so, they won't be told what to do by the Bishops and other church leaders, whom they see as having covered up child sexual abuse to protect the Church. They look elsewhere for guidance on important issues that are not cut and dried, such as to Andrew Denton on euthanasia. Denton is an entertainer who has become a credible moral leader because religious leaders have given up the ground. I don't agree with him on euthanasia but many Catholics do. Pope Francis has shown the world what moral leadership from religious leaders can be about. Locally there is a handful of contrite church leaders with a credible moral and social message, such as Bishop Vincent Long of Parramatta. But it will take at least a generation before there is a possibility that the Catholic Church as a whole could make up the lost ground. Last year I declared myself a Catholic on the census form because I think it's important for 'nuanced' Catholics like myself - and indeed my confreres from other Christian traditions - to claim our damaged religious brands in the hope that they can eventually be rebuilt to reflect the more inclusive spirituality that is currently described as 'no religion'. I spent the weekend staying with relatives in their home by the beach on the coast at Gerroa, in the Illawarra region south of Sydney. Yesterday I accompanied my cousin when he went to the Memorial Garden at his local church to carry out an inurnment. I'd never heard the word before. It refers to the placing in a 'niche', or some other resting location, a person's cremated remains that are contained in an urn. 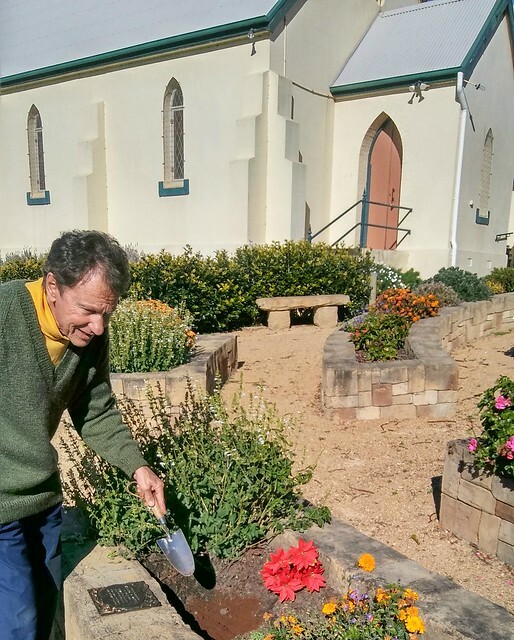 Following a ceremony at the end of Sunday Mass, my cousin dug the hole in the designated niche and put the urn in place before covering it with dirt and planting flowers over it. The Memorial Garden was constructed and opened eighteen months ago. 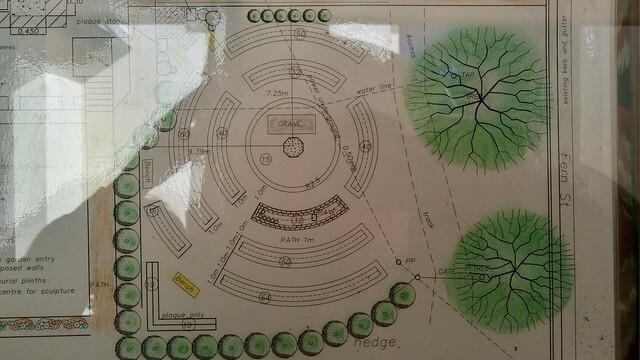 It is a variation on the form of the traditional labyrinth or maze and was inspired by the labyrinth in the Vatican Gardens. It was suggested by my cousin's 91 year old mother, who had an urgent need to find the right resting place for the cremated remains of her husband - my father's cousin - who died in 2007. After the parish subsequently took up the suggestion and completed the design and construction, his remains were placed in niche 407. Adjacent niches are reserved for other family members and friends. Yesterday I made a spontaneous decision to purchase niche 406, as I have become increasingly conscious of the need to specify what I would like done with my remains after I die. Actually I've never had any particular wishes in this regard. For whatever reason - possibly to do with residual lack of self esteem - I've had an 'I don't care' attitude. But increasingly I've felt concern for those around me when I die. They would be scratching their heads wondering what my unexpressed wishes were, and perhaps justifiably frustrated or annoyed that I had remained silent on the matter. As of yesterday, this is resolved. But it does cause me to reflect upon the changing sociological profile of the community and the reality that many people including myself no longer fit neatly with established church or other traditional rituals surrounding death and how they would like to be remembered. I don't know how this plays out in practice. But I imagine that the circumstances for many people become awkward when they have not expressed what they would like to occur when they die, and have never been asked. How do you pay respect to a person who was single or lived a life that was singular? This happens to people at all levels, with many not part of a traditional family when they die. They may be comfortable with that - as I am - but there's no pro forma, and it's important for us all to accept that we are worth remembering and to decide how we would like this to occur. This morning a State Funeral will be held for Catholic Church child sexual abuse victims advocate Anthony Foster, who died suddenly on 26 May. 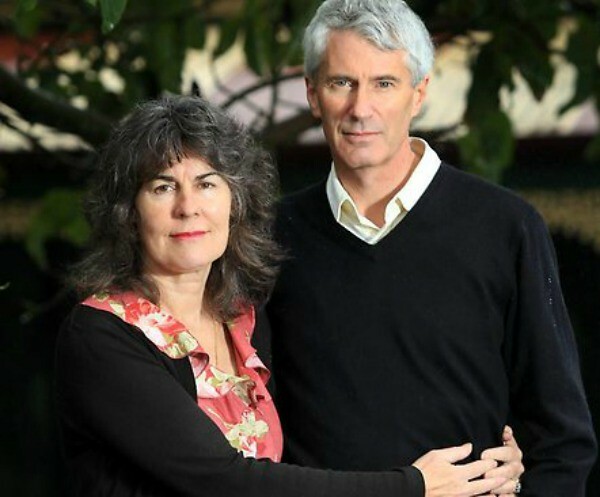 In her tribute to 'the man who was integrity personified', fellow campaigner and Newcastle Herald journalist Joanne McCarthy says there wouldn't be a Royal Commission into Institutional Responses to Child Sexual Abuse without Anthony and and his wife Chrissie. In earlier days I was not a fan of the Fosters. I did not like the way they treated the Church as the enemy. I was aware of the Church's often unsung role in standing up for victims of abuse in many other areas such as sexual slavery. I knew that the Church was fundamentally on the side of victims of all sorts of injustice. So I did not understand why the Fosters couldn't work with the Church rather than against it in achieving justice for the victims of the rogue priests. I was naive and wrong. Eventually I came to accept that sexual abuse was a sin of the Church itself more than the 'rogue priests', whom I believed were themselves victims. I became convinced that the Church's culture stunted the priests' growth as sexual beings and that child sexual abuse was the result. The Church as an institution had to own responsibility for sexual abuse, and change its culture. The Fosters were right. 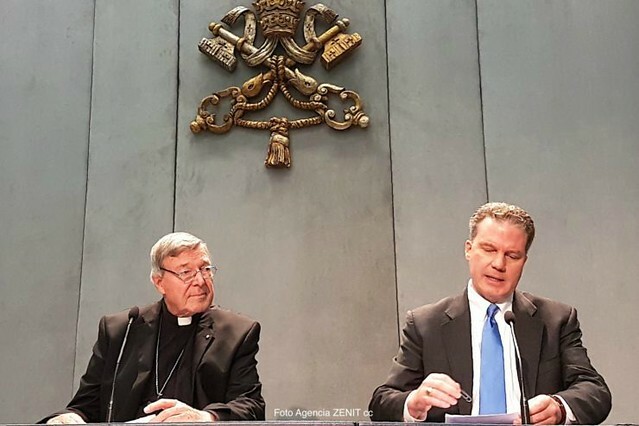 The Church could not be trusted to achieve justice for abuse victims using its own processes. The perpetrator of the evil of the abuse was the Church itself, rather than a few - or even more than a few - bad apples. Don't put Dracula in charge of the blood bank. So I came to believe that the Church was indeed the enemy of the people, as it had been portrayed by the Fosters and the media. If it was really the champion of the poor and marginalised - as I'd previously believed - why was it using its considerable financial resources to engage the best lawyers to fight the hapless victims in court? If the Church itself was taking an adversarial approach towards victims, why shouldn't victims' advocates like the Fosters take an adversarial approach towards the Church? I was fully on board with the Fosters. Fortunately the Fosters and other victims' advocates had fellow travellers within the Church. Some were courageous and competent individuals in positions of influence such as Francis Sullivan of the Church's Truth, Justice and Healing Council. He was not afraid to slap down the Bishops - his employer - until they joined him in insisting that the Church's culture must change. That is now happening, with some of the strongest and most moving statements and actions coming from bishops themselves. I think Parramatta Bishop Vincent Long's tribute to Anthony Foster must be the most notable. He reveals that he was quietly working with the Fosters to achieve justice for victims while some of his fellow bishops were fighting them in court. Now others are joining him. These include Archbishop Anthony Fisher of Sydney, who personally castigated the Fosters during World Youth Day 2008 for 'dwelling crankily on old wounds'. These words of Bishop Long speak for themselves. The Church's own theological term metanoia (conversion of heart) comes to mind. Late last week tabloid columnist Andrew Bolt berated the 47 year old Greens Deputy Leader Scott Ludlum, who 'broke the law' when he used recreational drugs while he was in his 20s. 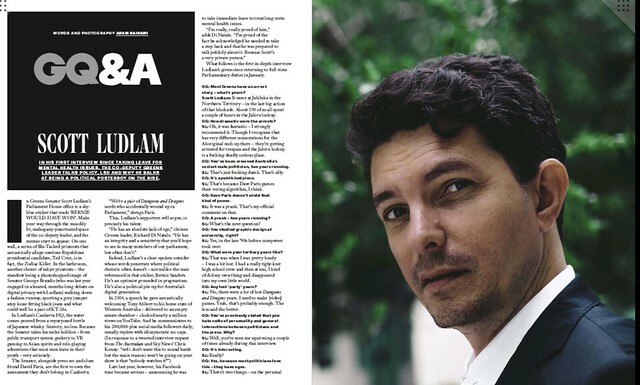 The details of Ludlum's past were gleaned from an interview with Ludlum in the latest issue of the men's magazine GQ. Bolt was accusing Ludlum of being hypocritical in taking a hard line against tax evaders who break the law while being unrepentant about having broken laws against recreational drug use. My view is that Ludlum's personal testimony that recreational drug use 'didn't do a lot' for him is more powerful than any attempt to prosecute drug users. He talks about the dysfunctionality of his life when he was in his 20s and he experimented with drugs. I could talk about the dysfunctionality of my life when I was in my 20s and I experimented with religion. They're the things that you fall into. They might give you a certain dubious or perhaps real quality of life, or they might cause you harm. I'd suggest they do both. Ludlum doesn't seem to regret that he tried drugs and I don't regret that I tried religion. I don't know whether he's completely sworn off all mind altering substances, but I haven't given religion away. In fact Pope Francis' 'Who am I to judge?' attitude informs and affirms my approach to behaviours of other people I find hard to accept. But back in my 20s I was 'driven', and I suspect he was as well. That's what happens before you eventually settle down from the excesses of your 20s. What we do while we're young sets us up - for better or worse - for our middle and later years, and makes us the people we become. Hopefully we like the people we have become. I do. It doesn't seem fair that Ludlum's experimentation was regarded as a crime, while mine was at the time associated with a position of honour in the community. That's why I believe in harm minimisation and the prosecution of drug dealers but not than the users they exploit. It wasn't always that way. I remember struggling with radio talkback programs on Triple J that treated recreational drug use as normal. I was still at a stage when I would 'judge' drug users, as I think they would have judged me for my choice of a religious way of life. 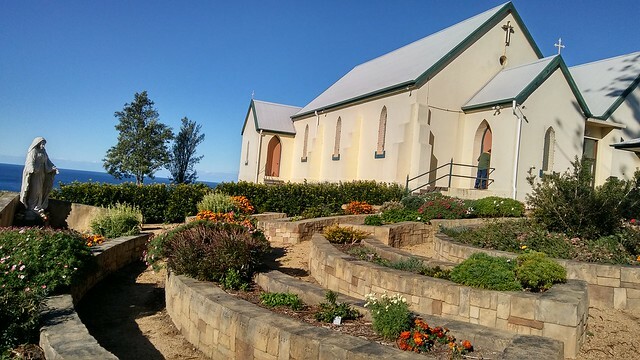 I came to appreciate the value of harm minimisation strategies, whether it was the advice of experts on the radio or the medically supervised drug injecting centre that the Uniting Church established at Kings Cross in 2001. Now I like to believe that nothing should be off limits but everything should be subject to a harm minimisation strategy. But that kind of thinking belongs to an ideal world, and in reality certain actions like tax evasion and drug dealing need to be proscribed by laws that ultimately judge those who carry them out. Frequently at dinner parties, I look around and realise that I am the only Australian born resident at the table. It's a good feeling. When I travel elsewhere in Australia - as I did at Easter - I notice that the population is much more 'white' than I'm used to. I'm always pleased to arrive home in inner city Sydney, where the foreign born population is far in excess of Sydney's average of 39 per cent. Sydney has Australia's largest percentage of migrants. I felt depressed this week when the Prime Minister announced a clampdown on immigration to appease and secure political support from One Nation and other right-wing voters. I know that the changes are largely cosmetic because it would be too damaging to our economy if they were significant in real terms. But that is no excuse. It was about messaging and it was very rude. He said: 'Membership of the Australian family is a privilege and should be afforded to those who support our values, respect our laws and want to work hard'. It's as if most migrants don't do these things already. For me, the greater privilege is having my own values and cultural practices informed and enhanced by the presence of migrants in my life. It is my education. Those Australians who are hostile to migrants and the pattern of migration in recent years share many of the characteristics of religious fundamentalism, which thrives on willful ignorance. This week I read an excellent article linking religious and secular fundamentalism. 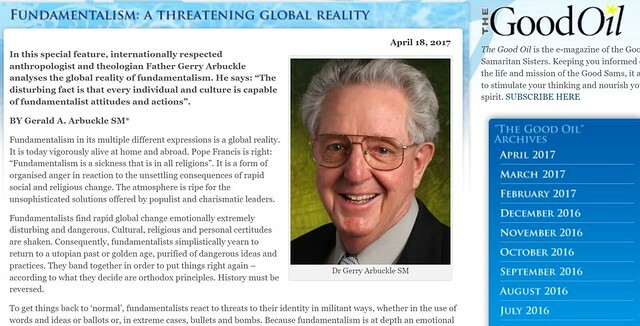 It was written by the anthropologist and Marist priest Gerald Arbuckle in The Good Oil, the online publication of the Good Samaritan Sisters. What I found most disturbing is his demonstration that there is no effective conversation or dialogue to be had with fundamentalists. Indeed the Anzac Legend, which features prominently in the now more rigorous citizenship test, was confected for political purposes, largely in the Howard era after 2001. Because much of this new fundamentalism is recent and superficial, my hope is that it will disappear as quickly as it arrived, even if the motivation is self-interest. The prime minister knows it and hopefully he can lead Australians to the realisation that the enviable standard of living Australians enjoy is a result of migration. I have just read Newtown Nutrition's latest blog inviting us to 'tune into food textures'. 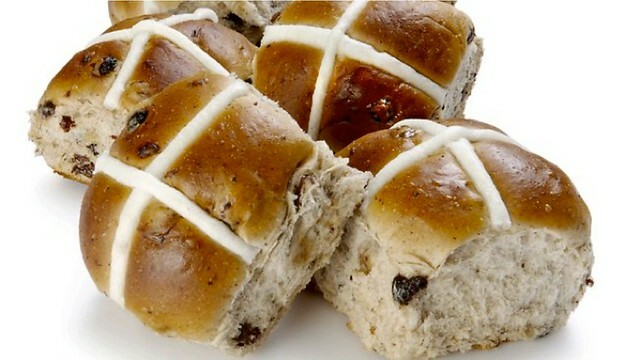 One of their nutritionists writes about hot cross buns. She says we can enjoy their crunch by toasting them. Or we can use the microwave and savour them by appreciating their chewiness. The principle applies to all foods. We can munch on raw carrot sticks with hummus or some other flavoursome dip. Or we can enjoy the sweet honied sensation that comes with steaming our carrots. She's encouraging us to consider how we interact with food in order to maximise our sense of pleasure and nourishment in eating. It's about trying to undo the damage some people have done to their relationship with food through a long history of self-denial with dieting. Recently I recalled some advice her colleague gave me a few years ago, which was to eat 'raw' chocolate. It happened as I was waiting at the checkout at Harris Farm Markets in my local shopping centre and I spotted a strategically placed selection of raw chocolate. So I made an impulse buy, a good one as it turns out. 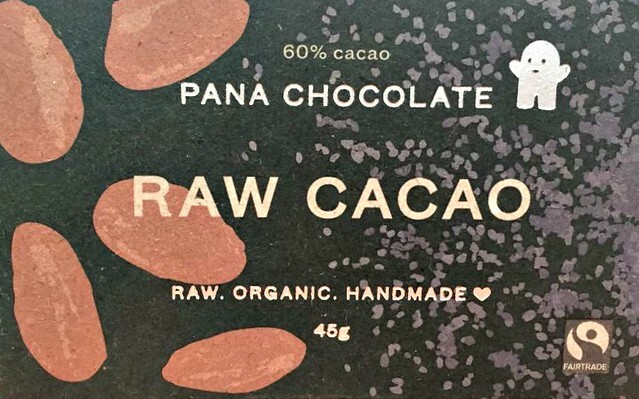 Raw chocolate is minimally processed so that it offers a higher level of antioxidants. It's also expensive, with six tiny squares costing $6.49. That means you buy less of it and consume it thoughtfully over a much longer period of time. I eat one square at a time and savour its firm outside and soft interior and the flavour that endures for hours. I find myself wanting to fit ordinary daily activities such as eating into 'the right order of the universe' by studying spirituality and remembering my past exposure to it. I recall the Application of the Senses in the Spiritual Exercises of St Ignatius of Loyola. He suggests that while contemplating scenes from the Christian Gospels, we might 'smell the infinite fragrance and taste the infinite sweetness'. Ignatius also stresses the need to take time out during our day to identify moments of heightened awareness, which obviously include taste sensations. Recently I've been reading about 'Embodied Spirituality', which focuses on bodily sensations as stepping stones towards our experience of wholeness as human beings. A friend recommended I watch this week's ABC TV Compass documentary 'The Judas Iscariot Lunch Part 1', which I did. 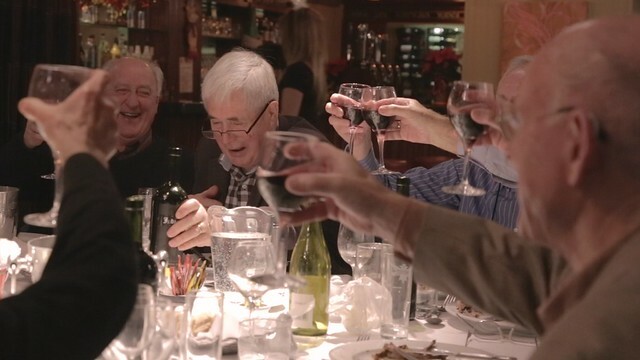 It featured 13 Irish former priests who looked to be in their 70s, speaking candidly about their training and ideals as young men and also their own humanity and experience of celibacy. They called their lunch club after Pope Paul VI's suggestion that those who left the priesthood were betraying the Church. However I didn't think they harboured any particular bitterness towards the pope or the Church. They were just telling it as it was. The Church offered them a way out of the oppressive social and economic circumstances of Ireland at the time, as an alternative to emigration. As one of them put it, 'a way of dodging growing up and dodging Ireland'. It's what they wanted at the time, and what they got. So were they suggesting that they never grew up? Possibly. At least not until after they left the priesthood. They referred to celibacy as a gift. As a priest, you either had the gift or you didn't. In other words, celibacy worked for some but not others. If it didn't, things went awry. 'People sometimes took to the drink. Loneliness became a big problem'. Put simply, that is what happens if you're part of an institution that allows you to dodge growing up. 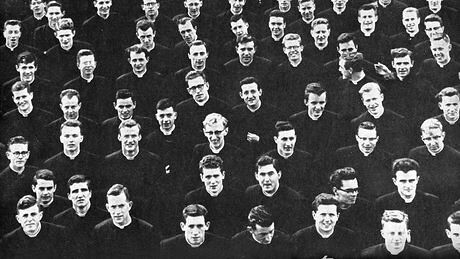 Instead of the usual 'growing up' preoccupations that define the lives of most young people - working out relationships and sexuality - these trainee priests would be focused on listening to and obeying '12,000 bells over [up to] 12 years' of formation. Of course the elephant in the room was sexual abuse, which I suspect they will discuss in more depth in Part 2. But in a way it was better they left that alone because it allowed the documentary to describe more dispassionately the culture of the Church that made the ground fertile for sexual abuse. 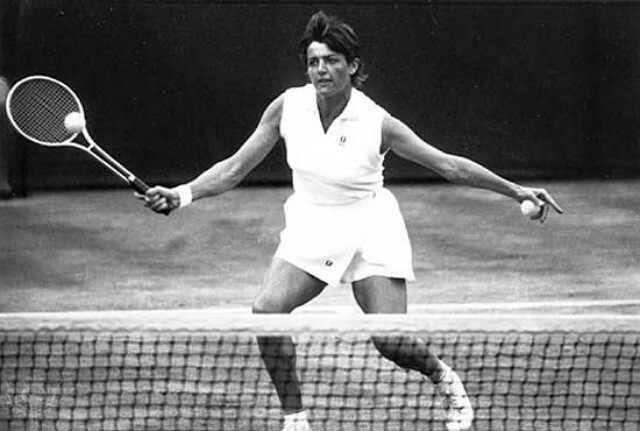 It reminded me of the term 'thick description', which was developed by the anthropologist Clifford Geertz in his influential 1973 work The Interpretation of Cultures. His idea was that the setting or context for particular behaviour is more meaningful than the acts of behaviour themselves. Participant observation - such as the accounts of these ex-priests - is the key to evaluating a culture. This, he argued, was what anthropologists doing field research needed to pay close attention to. I think that it is also crucial in achieving justice for church sexual assault victims. It provides a clear answer to the question of whether the blame lies with a 'bad' culture or 'rogue' priests. The implication is that if it can be established that a bad culture that produced rogue priests, the more appropriate course of action is redress from the institution that embodies the bad culture (i.e. the Church), more than locking up the perpetrators. Too often media accounts let the Church off the hook by demonising the abusers. They focus on the experience of the victims at the hands of the abusers without painting a picture of the particular way of life that was the precondition for the abuse.